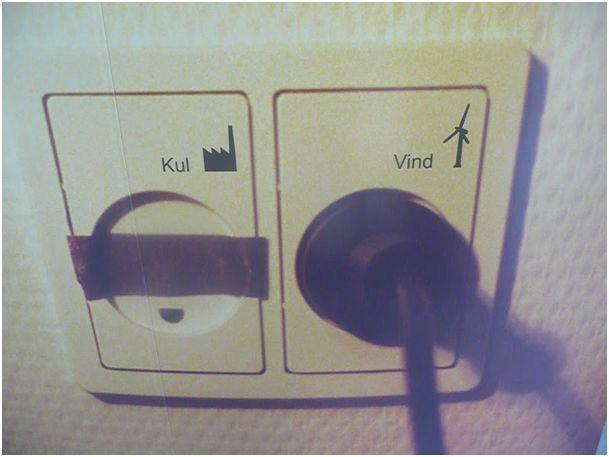 Europe is increasingly shifting toward renewable energy. Germany is transitioning away from nuclear power to renewable sources, and Denmark recently committed to achieving 35% green energy by 2020 and 100% renewable energy by 2050. To witness these changes take shape, an ELEEP study tour was organized on the Transformation of the Energy Economy: Natural Gas, Renewable Energy, Smart Grids and Electric Mobility. The tour took place from 18 to 23 March 2012. This tour was the third in the "Incubating Communities of Influence for Transformation of their Economies and Environment" (I-CITE) series, which was generously supported by the European Union. 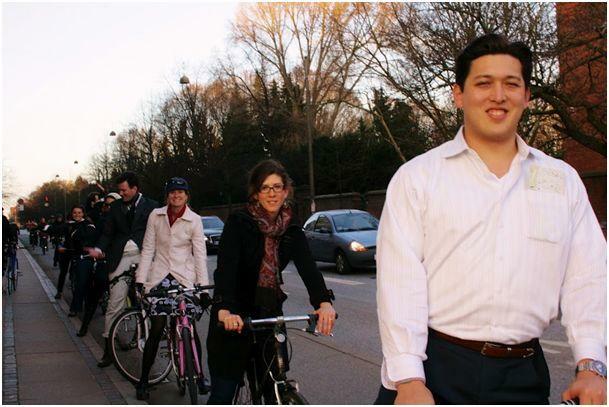 Most tour participants were selected through the Emerging Leaders in Environmental and Energy Policy (E-LEEP) network, a forum for emerging American and European leaders working on or around environmental and energy issues. In Germany, the tour visited industry and political officials in Berlin, the Nord Stream Pipeline, and a decommissioned nuclear power plant. In Denmark, participants met with industry and Copenhagen city officials to discuss energy efficiency, climate and transportation policy, tested electric vehicles at Better Place, toured a cellulosic bioethanol demonstration plant, and visited the self-sufficient energy island of Samsø. 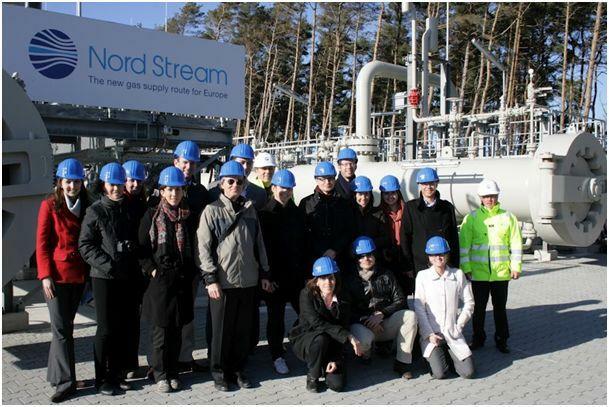 The tour segments in Germany explored how industry would respond to the changing energy economy, and what role natural gas would play in the transition. The role of natural gas in the transformation of the energy economy is critical in both the US and the EU. As a transition fuel on our way toward carbon goals, it is a popular interim solution, but not without concerns. Shale gas has changed the US from a gas importer to an exporter, but the use of hydraulic fracturing or “fracking” technologies to access shale gas currently is not permitted in Germany and a few other EU states. The tour participants discussed Germany's policies towards shale gas with industry officials from ExxonMobil and a representative of the InfoDialog Fracking, which brings together scientists and civil society to discuss the future of fracking in Germany. One thing is hearing about energy infrastructure, but another thing is touching it. 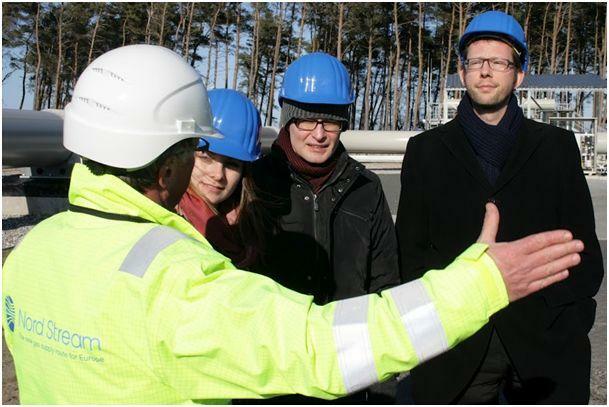 In Lubmin, participants saw where the newly-operational Nord Stream pipeline carrying natural gas from Russia emerges from the Baltic Sea. Though controversial on environmental and political grounds, the pipeline represents energy collaboration on the European level. Nord Stream feeds the OPAL pipeline to the Czech Republic and the soon-to-be-completed NEL pipeline to the Netherlands. Participants also were also able to experience other energy infrastructure and look inside a nuclear reactor at Block 6 of the decommissioned Greifswald Nuclear Power Plant. In Berlin, the industry perspective on the energy transition was further developed by visits with BP and E.ON, while participants heard the labor and Social-Democratic Party perspectives on the energy transition during a panel hosted by the Friedrich Ebert Stiftung. In Copenhagen, 35% of commuters [pdf, 1.2 MB, English] travel to school or work by bicycle, and 68% of residents cycle at least once a week. 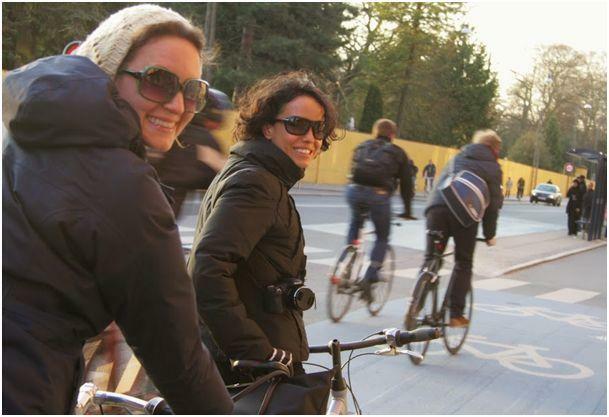 Tour participants discussed Copenhagen's bicycle strategy and climate programs with city officials, and then tested the Danish capitol's cycling infrastructure themselves. 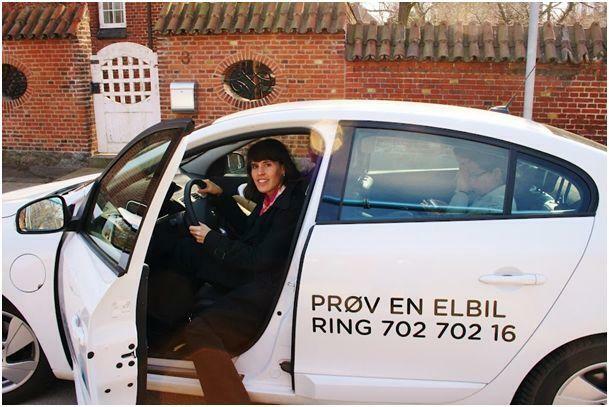 But test drives did not stop with two wheels - participants also tested new electric cars with switchable batteries at the Better Place facility. A country the size of Denmark requires fewer battery switching stations than other places, making Denmark a good pilot case for electric mobility. Participants were impressed with how quiet, and how normal, the driving experience was. During the visit, participants pressed city and business officials with questions on how Denmark developed such a fertile environment for alternative methods of transportation: does Denmark just have a 'green' culture, or are people left with no choice but to adapt because of high taxes on new vehicles? In general, entrepreneurship and business sense, rather than ideological drive, were at the crux of the Danes' innovations. 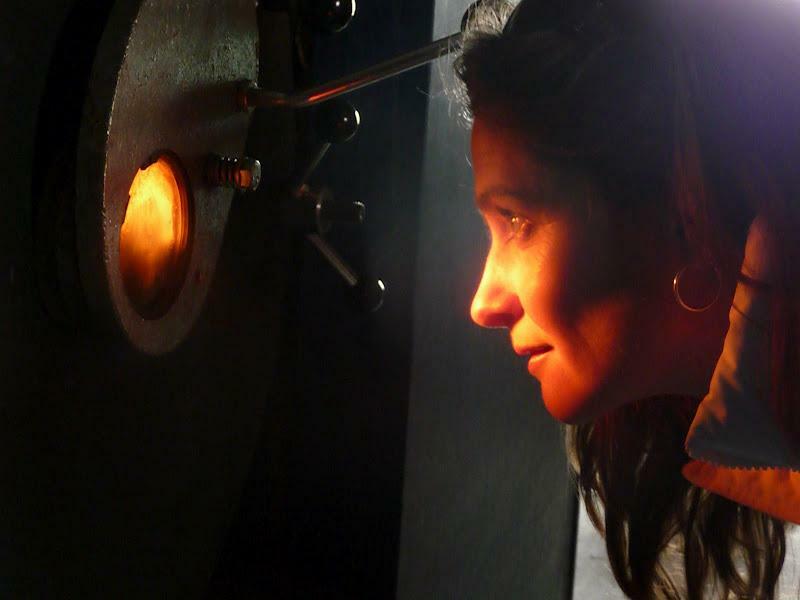 From increasing their reliance on their own wind power to inventing new biofuel technologies at the Inbicon biomass refinery, the Danes emphasized the economic case of their initiatives. Since 1997, Samsø, an island of just over 4,000 people, has transitioned to becoming self-sufficient through renewable energy. The tour group boarded a ferry and crossed over to see this sustainability microcosm. Samsø is lauded around the world as a prime example of using renewable energy, but it is also just a small community trying to stimulate economic growth and stabilize a declining population. 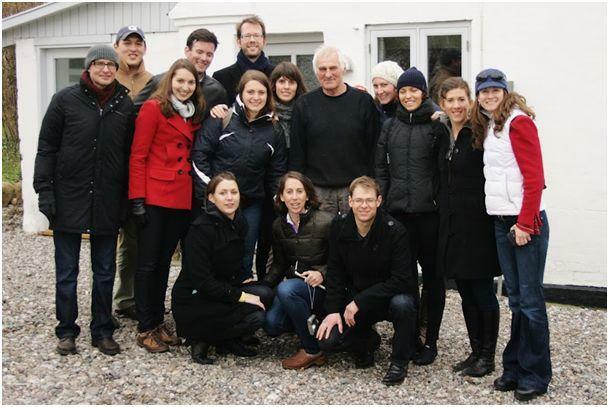 The Samsø Energy Academy hosted the group and narrated the island's transformation. The people of Samsø are taking steps that make sense to them financially. Some neighbors invested in small shares of the wind turbines, while others borrowed money for entire turbines. Most will wait over a decade to pay off the debt, but they are patient. 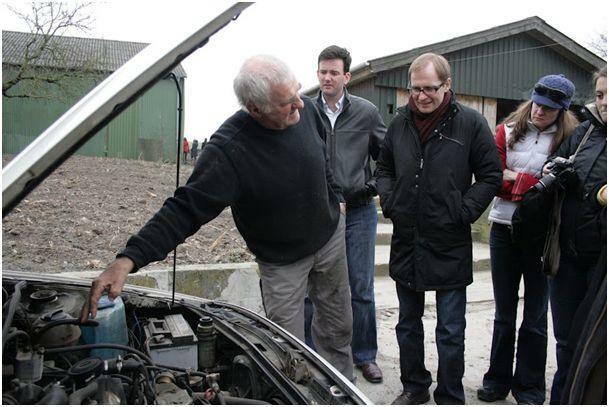 Eric Koch Andersen, a farmer who met with the tour participants, uses rapeseed oil in his car that he buys from his neighbor because it is cheaper than diesel. He heats his house with biomass from his own wood and has solar panels on his roof. On a community level, the people of Samsø use local straw for district heating and combine solar thermal and biomass to accommodate seasonal energy needs. Participants learned that the structure of the communities in Samsø is crucial for the success of the project. In the villages, farmhouses and barns are all clustered together, meaning that common infrastructure, like district heating, is easier to implement. Søren Hermansen, the director of the Samsø Energy Academy, spoke to the group about the importance of community cooperation in achieving an energy transformation. The visit emphasized what participants had deduced from their journey thus far: mindset and commitment are crucial to the success of energy transformations.